Now that you've learned a bit more about me, let's dive into the heart of my photography. There are 3 distinct branches of my photography. Joy, Honor, and Love. Joy: Joy is a huge part of who I am as a person. Spend a couple of minutes on my Instagram stories to get an inside peek at my personality, and you will see that joy drives me. I love to laugh. I love making others laugh. Throughout the entire wedding process, we will laugh together. The reason why is that I actually enjoy what I do. I enjoy getting to know my couples. I enjoy capturing light and love together in a frame. Honor: One of the truest things about my photography business is the honor I feel when I'm chosen to capture my client's love stories. From our first meeting to capturing their engagement session. All the way to the moment I arrive on the wedding day, to after they've driven off with the sparklers behind them. Through all of it, I'm honored to be a part of their story. To think that generations will look at the images I've captured is a beautiful thing. Love: The mac daddy of them all...LOVE. Love is the most beautiful thing on this planet. To get to capture love for a living is an incredible gift. I see love in so many ways on the wedding day. In the way the flower girl glances up at the bride with eyes filled with wonder. The way mom buttons up her daughter's dress, with tears brimming over. The way dad clears his throat in an effort to keep his voice from cracking. The way all of the nervousness of the day melts into a smile as vows are exchanged, and rings are slid on fingers. I see love in every extravagant detail, every small glance, every tear that is discreetly wiped away...all of it is because of Love, and I come alive when capturing Love. When you book me as your photographer, you can expect images that are both rich in color and emotions. I intentionally edit your images in a way that preserves the warmth and love of your day. I find that I see color in a way that's not overly bright and airy, nor dark and moody, but a good balance of both worlds. I aim to edit your images in a way that shows the true colors you chose for your day. On your wedding day, we blend in. We find the balance of being in the background to capture photojournalistic moments, while also stepping in to provide guidance when needed. We love becoming a part of your family as we photograph your day, and we receive the most compliments about how we create a comfortable and fun atmosphere for all who are being photographed by us. The night of your wedding, I post a sneak peek of your wedding images. The wedding day is such a blur and my clients love waking up the next morning to see beautifully captured images that they can share with their friends and family. Wedding Collections range from $4,000-8,000, and each wedding collection includes two photographers and a USB of edited hi-res files in both color and b&w. I would love to send you a pdf of my prices. Simply fill out the contact form above. What Are Your Thoughts on a “First Look”? When it comes to my clients, my motto is, "If it's important to you, it's important to me." There are times that I feel that a First Look serves certain weddings better than others, and if that's the case, I'll recommend it. However, I'll never force it on my clients. 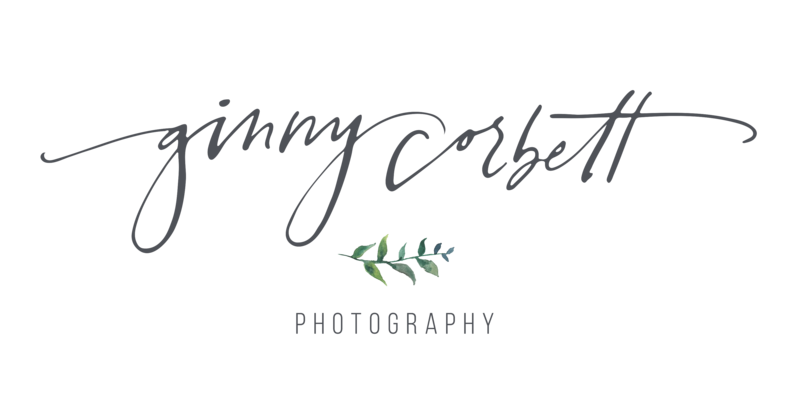 With that said, if you're considering a First Look, shoot me an email, or give me a call and we can discuss the benefits. At the end of the day, the wedding is all about my clients, and I'm here to serve and love through photography. What can I do with the Images on my USB? When you receive your wedding images on a USB, you will also receive a print release that allows you to make your own prints and enlargements. Absolutely!! I'll work with you to create a timeline that allows for creativity but will also ensure that you spend those precious moments living your day more than smiling at the camera. After photographing well over 100 weddings, I've found that a perfectly planned timeline will not only help your day flow smoothly but will help make it stress-free as well. Engagement sessions are scheduled during the week around 2 hours before sunset. If possible, we'll grab a drink beforehand, so that we have time to chat about your wedding and engagement session. This is a great time for us to get to know one another and to get comfortable before the session begins. Will you help me with my shotlist? You bet!! Approximately six weeks before your wedding, I'll send you a questionnaire that'll help you keep track of the posed portraits you'd like us to take. You can keep adding to it until the Wednesday before your wedding. At that time, we add all of your requests to a shared shotlist that we keep track of throughout your wedding day. During dinner, we begin downloading cards to double check that we have everything covered. Our goal is to capture every shot that you have in mind. How long does it normally take for you to deliver all of our hi-res files? The night of your wedding, we post a sneak peek of your wedding day. Then after that, it normally takes around four-six weeks for us to edit and upload all of your final images to your online gallery. Do You Photograph Other Sessions Besides Weddings, Engagement, and Bridal Portraits? At the moment, I focus solely on wedding photography. However, I always love photographing my past client's growing families! With that said, if you're not a past client, and are passionate about having me photograph a session for you, fill out the contact form. Like Prince Bieber once said, "I will never say never."